Apply for the Daewoo Express Jobs 2019 Bus Hostess Vacancies in Pakistan Walk-In Interview. 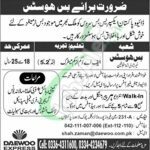 Only female individuals who are looking for a job in any reputed firm are welcome to apply for the latest vacancies announced Daewoo Pakistan Express Bus Service and this reputed Bus Service is going to recruit well disciplined and educated Bus Hostess for its al Bus Terminals located across Pakistan. So, it is the finest opportunity for young female candidates who do not have any working experience and forward to start their professional career. So, take advantage of this opportunity and apply for this opportunity as soon as possible. Now, for interested candidates, we’ll discuss requirements and how to apply the procedure for the vacancies. Only unmarried female candidates are eligible to apply. Matric pass candidates can apply but preference shall be given to FA pass candidates. Height of candidate should be 5’ and 2 “. Age should be between 18 to 25 years. Company shall offer the following facilities to its selected candidates. Interested female candidates should submit their detailed CV to Head Office Lahore or nearest Daewoo Terminal Manager Office. Interviews will be held on every Monday, Tuesday, and Wednesday from 09:00 am to 05:00 pm. For more Government Jobs, keep visiting our site JobsAlert.pk. 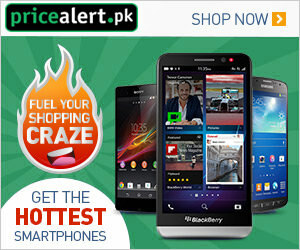 Address: 231-A, Main Ferozepur Road, Near Kalma Chowk Lahore, Pakistan.